In order to make the Moto X Phone different to some of the other handsets on the market, Motorola come up with a rather simple idea, and that was give their customers the ability to customize their handset. being able to change the color of your Moto X is a huge selling point, one that shows this handset is more about fun, but has Motorola achieved their goal? There are 18 different colors to choose from for the rear cover, with the front coming in either black or white, and also a choice of accents around the rear camera face and even those side buttons. That’s not all, you can even have a name engraved. While all this may sounsd like fun and gives you endless options, there are a few issues with this. Moto X Phone limitations with color combinations — There is no denying the Moto Maker is a cool feature, but we do feel as though there are limitations. However, because it is new there is no surprise that the color options are limited. A fine example is when you try to design your Moto X with your favorite football, baseball or Hockey team colors. You can get the colors roughly correct, but you will have to make a few changes to the shades of colors you choose, and so you will end up with a compromised sports themed Moto X Phone. Don’t get us wrong, with 252 specific choices Moto maker is a great start, but there is a long way to go to make it a more personal experience. Having said that, we need to remember that it is early days and no doubt once Motorola is happy with the success of the Moto X it will be then that they improve its customization and allow for you to choose your favorite sports teams colors. 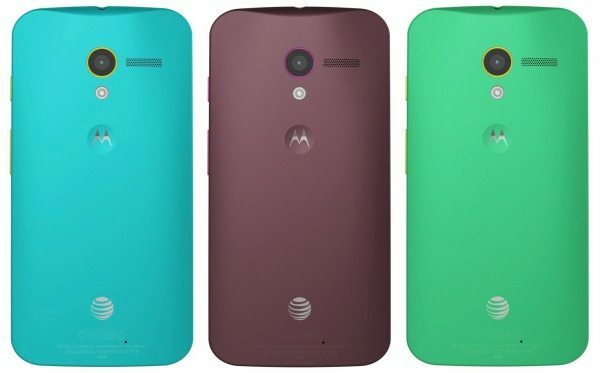 We need to remind you that these color options are only available to those on AT&T for now, with Verizon offering the same a little later in the year. Going back to the Moto X being fun, it does seem as though Motorola is marketing the handset that way. They believe they do not need to raise their brand awareness, but rather make the Moto X seem like a cool device, and with Google spending $500 million on marketing surely they have a chance to succeed, although Microsoft spent a small fortune the Surface marketing and look where that got them?